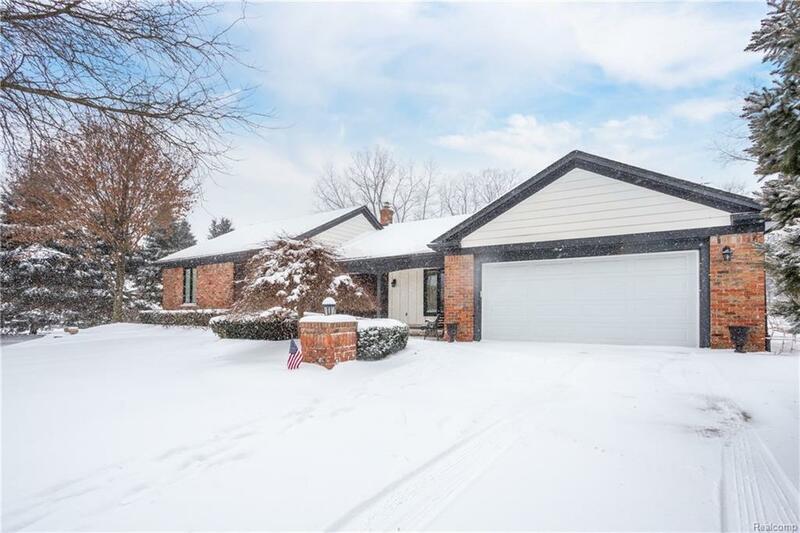 Ranch home Located in the popular Northville Commons sub and situated on a huge lot with an in-ground 20x40 marcite pool, surrounded by 3,000 sq ft of paver patio and fenced yard. This home offers a gorgeous renovated kitchen with granite counters and stainless appliances. The light filled kitchen opens to the family room and has french doors leading to the yard, Newer Pella windows and doors, newer paint. Hardwood floors, main floor laundry, attached two car garage.Northville schools. Pool was last resurface and retiled in 2009. May need new resurfacing. Jamaican pools opens, closes and maintains the pool weekly. Newer electrical pump, newer plumbing, 2018 new earth filter, 2018 new Polaris.